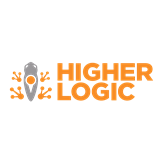 Higher Logic is seeking an enthusiastic Software Development intern to work on building and maintaining new features and enhancements to our online community product. This is a paid internship. Involvement in an agile team-oriented atmosphere. Exposure to Jira to help you track and manage your tasks. Learn Bitbucket on how to setup SSH and cloning repositories. You will also learn how to use Git to do commits, pull, push, etc. Learn how to use tools such as Visual Studio, VS Code, SSMS, and Browser devtools. Opportunity to leverage your computer knowledge and analytical skills. Involvement in creating great product as a team. Organizations worldwide use Higher Logic to bring people all together, by giving their community a home where they can interact, share ideas, answer questions, and stay connected. Everything we do - the tools and features in our software, our services, partnerships, best practices - drives our ultimate goal of making your organization successful. Want to get notified about new jobs at Higher Logic?